“We’re really thrilled with the speedy user experience,” says Dave Besbris, the vice president of engineering who oversees AMP at Google. He says AMP articles load in less than one second and that publishers are seeing better ad viewability and higher click-through rates on AMP pages. Now Google is taking the process a step further. 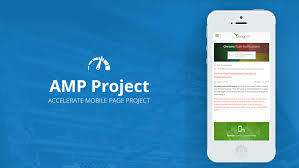 When you click on a search result in mobile search, if the site in question has an AMP page, that will be loaded by default rather than the standard html page. They are quick to add that they will not be giving any preferential treatment to AMP pages in search at this moment. This also confirms that AMP pages will not be a ranking signal for Google search. This could change however, just as SSL became a ranking signal and gave any site with a certificate a slight boost. Many users and technology commentators are worried that this, along with Facebook’s move to make instant articles the default when available, will fragment the web. Despite the benefits that will come from faster and smaller pages, this could end up with different walled garden approaches to the internet.